As always, you have creative license as you approach this category: if your mother isn’t living, choose a book she used to love. 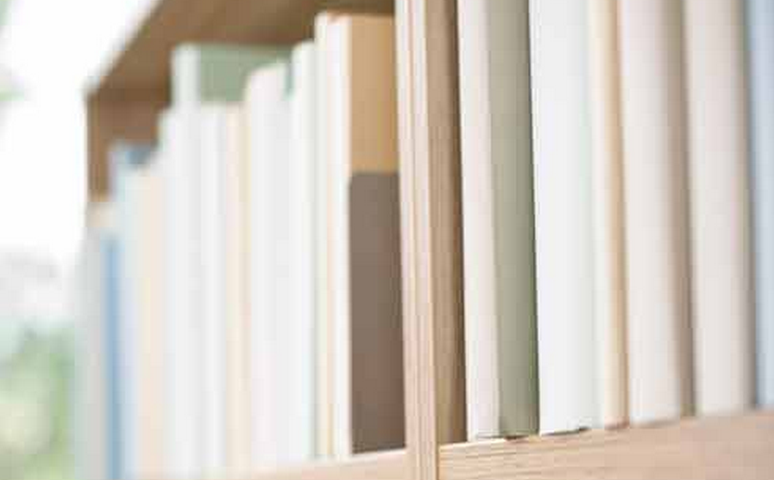 If your mom’s not a reader, pick out a book you think she’d enjoy giving a try. If your mom’s never been in the picture, choose this category with a mother figure (actual or fictional) or mentor in mind. 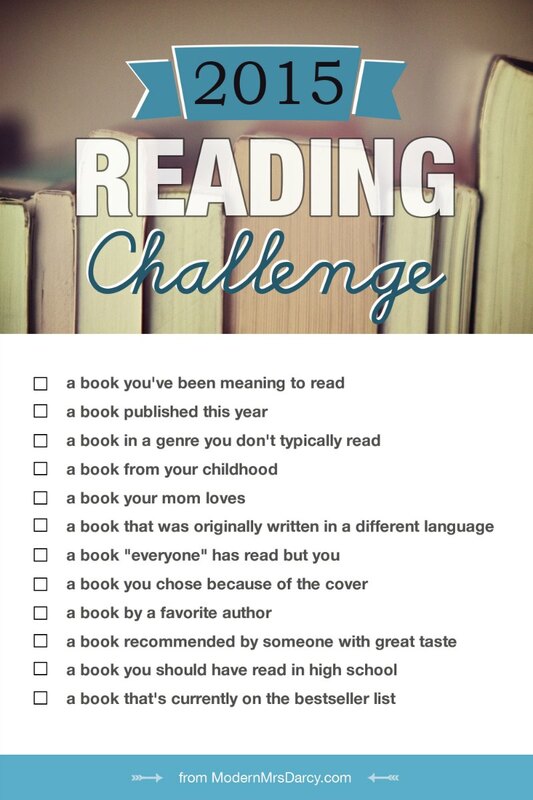 (I’ve seen all kinds of great ideas about how you’re approaching this category on the Reading Challenge group pinterest board. My own mother is a reader. Our tastes aren’t anywhere near identical, but they do overlap, and we pass books back and forth on a regular basis. I’ve found out about a few of my favorite books from her: she bought me a copy of The Happiness Project before I’d even heard of it. I quizzed her for this category: these are 7 of my mom’s favorites. Feel free to borrow them if you’re struggling to fill this category. She’s got good taste. Do you know what books YOUR mom loves? What are you reading for this category? Previous: Let’s tour the new site. My mom is currently reading All the Light We Cannot See and loves it…I’m putting it on my list. I’m glad she decided to read some fiction because she usually reads medical non-fiction and that’s not my cup of tea! My mother loves mysteries. 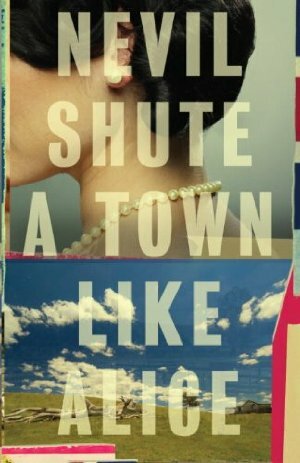 I generally resist the genre, but she introduced me to Alexander McCall Smith. I really enjoyed reading “The No. 1 Ladies Detective Agency.” My mom also recommended Tony Hillerman’s mysteries set on the Navajo reservation, which I particularly enjoyed when I lived on the Zuni reservation in New Mexico. Maybe I should read some Dorothy Sayers or Agatha Christie this month. My mom’s favorite book is Chrisite by Catherine Marshall. I read it in seventh grade, and although I liked it, don’t remember much beyond the general premise. It’s a bit longer than a few of the others on my list, so I’m saving it for a summer slow down. It’s a fast read although it is long, so it shouldn’t take too long. I love it but haven’t read it in at least a decade–this may be my book from my childhood that I re-read. My Mom loves to read and so I love to read. We do not live close to one another. Reading gives us the opportunity to be together when we are not. 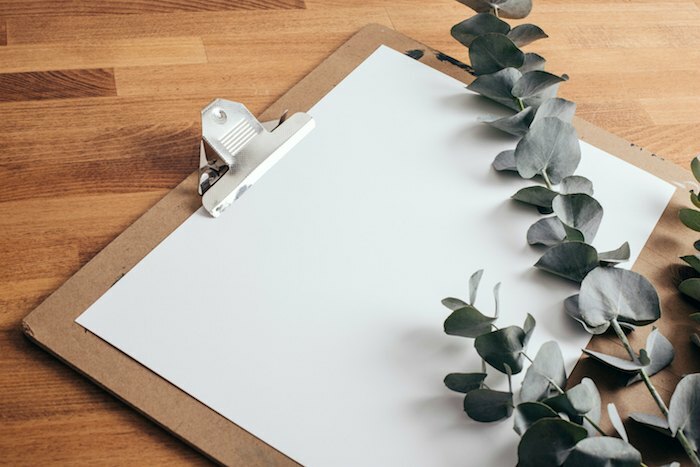 I appreciated this list because sometimes there are books that Mom has yet to read and I was most recently able to surprise her with “These is My Words” and she loved it. Thank you! 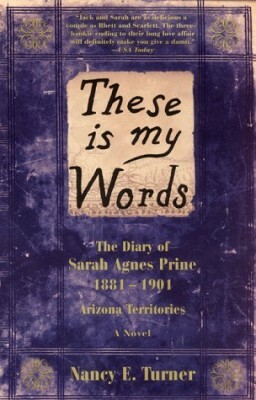 Did you know that “These Is My Words” has a sequel? A Tree Grows in Brooklyn is in my top 10 favorites of all time. Sigh. I love that book. My mom was a big fan of the Mitford novels, too, and I’ve never read one of them. This will have to be the year to change that! My mom and I like to share books. And then she has me order them for her on Amazon, to send to all her friends. Ha. Some examples: One Thousand Gifts by Ann Voskamp and Let Go by Fenelon. 66 Love Letters, Jesus Calling, Streams in the Desert. Yah, we like the spiritual ones – ha. But now in her 80s with time on her hands she is reading a lot more fiction, including Ted Dekker and Joel Rosenberg and recently she’s been begging me to read a fiction book with good thoughts about marriage by Dan Walsh and Gary Smalley? The Dance??? I’m not crazy about Christian fiction but she knows that and still recommends it. RE: Little WOmen. This is one of the first books I remember her reading out loud to us. She cried as she read. Every year since I can remember (and I am 60) my mom has read through the Bible. How sweet to know that is her favorite book. Once I read it as a young teen, it became one of my favourites, as well. It’s a true love story set in the Canadian prairies, where we lived. It parallelled my mom’s life in the sense that she, too, had left a comfortable American upbringing to follow my adventurous father across Canada. The book is sweet and sad and I cry every time I read it. On another note, I now have grown daughters, and love when our book reading overlaps– esp. if I discover a favourite (Rainbow Rowell! ) before they do! My mother has talked about reading “Mrs. Mike” in school and how much she loved it. I purchased a copy for her a couple years ago for Christmas and I’m hoping she will let me borrow it. Weird, the memories that stick. That was 40 years ago! 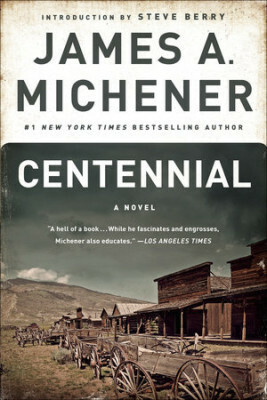 I’ve read a number of your Mother’s favorites, Centennial, A Tree Grows in Brooklyn, the Sunne in Splendor and A Town Called Alice. My own Mother was a reader, but she’s been dead for quite some time and I don’t remember what she liked to read. So these book choice is a bit of a dilemma for me. I was thinking of The Power of One just this morning! I have a habit of giving my mom books that I hope she’ll give back to me. 🙂 So far so good! Ha, I’ve started doing that, too. Figuring if I haven’t read it yet – well, some day I will borrow – or inherit – it from Mom. My mom is a binge reader. Once she starts a book she will stay up until all hours she finishes it. I remember her reading The Little Princess by Frances Hodgson Burnett to me when I was bout 7. Our reading tastes merge in a few places but not many. 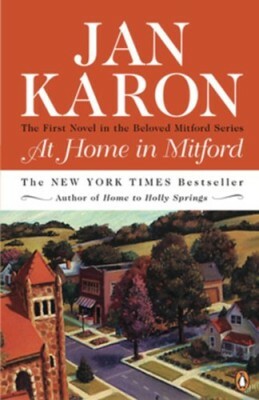 She loves The Anne of Green Gables books, biographies, Christian fiction ( particularly stories about the Amish), Jan Karon’s Mitford Series and The Miss Julia series. She also likes the Debbie Macomber books and similar authors. I am planning on re-reading Anne of Green Gables. My mom is retired now but ever since I was in 2nd grade, she worked as a fifth grade teacher. Most of my memories of her reading were books that she was teaching with her students. 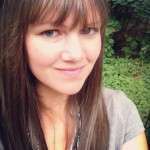 She raves about Roald Dahl books, Mrs. Frisby and the Rats of Nihm, The Secret Garden, and Heidi. Now that she’s retired, she loves reading Janet Evanovich, Nicholas Sparks, and Amish and Christian fiction books. I still haven’t decided what I’ll read for her, but I’m leaning towards Mrs. Frisby and the Rats of Nihm. I’m over halfway done with the challenge! It’s been great fun! 🙂 This category was the one I was most excited about and I really need to sit my Mom down to get some books out of her! We tend to swap books often, but haven’t done it much this spring. Her favorite book of all time is To Kill A Mockingbird and I FINALLY read it last summer. Like you said, I couldn’t figure out WHY I wait SOOOO long! When I asked my mom this question, she immediately went to a book she loved as a child, “The Five Little Peppers and How They Grew”, which I read (her copy) when I was a child, too. Maybe I’ll try asking her again, but if she doesn’t come up with something I haven’t read before, I think I’ll choose A Tree Grows in Brooklyn for your mom. I’ve enjoyed many of the Mitford series, a similar series but about a Catholic parish are Kathryn Valentine’s books. 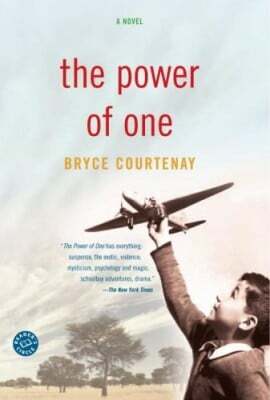 Back in the early-mid nineties, I used to show the movie The Power of One to my ninth-grade history class at an inner-city high school. They loved it. The image of Doc walking along hand-in-hand with Peter became my dream. I wanted to be a mother walking hand-in-hand with my son talking about life. Many years later, when I finally became a mother through international adoption, I started walking hand-in-hand with my son. When we would walk along holding hands and talking about life I would tell him that “I was living my dream.” The other day he grabbed by hand as we were walking along and he said, “Mom, we are living your dream.” He is 13. I’m so happy to be reminded that there is a book that inspired the movie and we will both be reading it very soon. Thanks for having such an inspirational blog! I think I like your mom’s books better than mine. She’s recommending romance novels and John Grisham (whom I have NEVER read, so maybe it’s time). We do pass a lot of lighter, Christian fiction back and forth, and she loved 11/22/63. 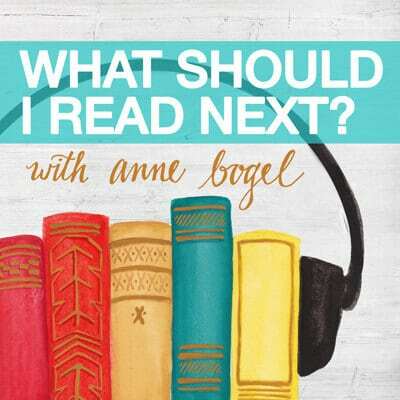 I’ve been wondering ever since which novels would be on your list! I would love some recommendations if you have a minute. 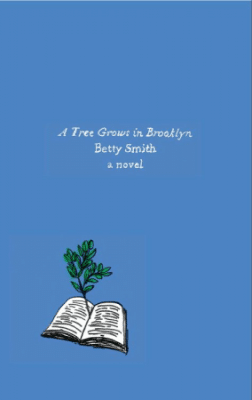 Funny you mentioned “A Tree Grows in Brooklyn” because it was a story (the movie more than the book) that my mother loved as well. I would never have thought of it but I will add it to my GoodReads list now. 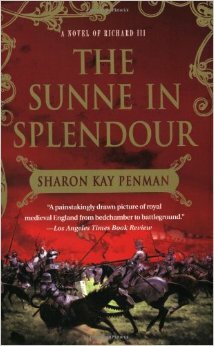 My mom loves The Sunne in Splendour too! I’ve been in the middle of it for a few months…hah. My mom loves to read, though she had a hard time naming a favorite. She suggested I read “Bread & Wine” by Shauna Niequist, and I’m so thrilled I took her up on it! Inspiring, “everyday” writing and delicious recipes…I’ve made many so far! She also loved “Animal, Vegetable, Miracle” by Barbara Kingsolver. I read that when it was published, and was also very inspired! Another mention was “My Grape Escape” by Laura Bradbury, which I haven’t read, but I believe it’s set in France, which sounds lovely. My mom also introduced me to the Mitford series. Such an enjoyable read! As a junior high student, my mother gave me a lovely copy of “Little Women” which I read about two chapters of and set aside. Here I am some 25+ years later and still never finished it. I am about a third of the way through and am enjoying it, though I’m not sure it will be among my own personal favorites. However, I think I will be glad I read it. I read Love Does by Bob Goff for this category. My mom only reads books that are encouraging and joyful and this book has both of the those attributes. I laughed, and I cried (happy tears) and learned a lot so thank you mom for the recommendation! I know this is an old post, but I had to comment. I was looking around your site for some new reading suggestions, and came across this. Three of your mom’s favorite books are among my very favorites- I have read A Tree Grows in Brooklyn at least 10 times, I first read it when I was 13, and These is My Words and At Home in Mitford are also two of my favorites. I can not wait to dig into her other recommendations- your mom has great taste in reading material!